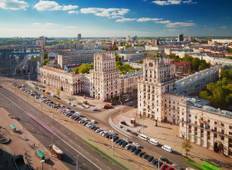 Find the right tour for you through Minsk. 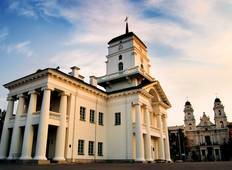 We've got 42 tours going to Minsk, starting from just 5 days in length, and the longest tour is 23 days. The most popular month to go is May, which has the most number of tour departures. "This was a really good tour- went to all the highlights but I probably wouldn't suggest..."
"What an amazing tour: very well organized all the way through: super-professional..."
"First of all, I would like to say a lot of good words for Rasa. It was such a pleasure...."